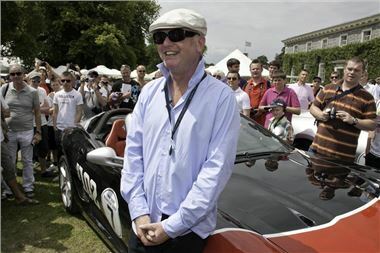 Making a special appearance at this year’s Festival of Speed was BBC2’s very own Chris Evans and his fleet of “Magnificent Seven” Ferraris. 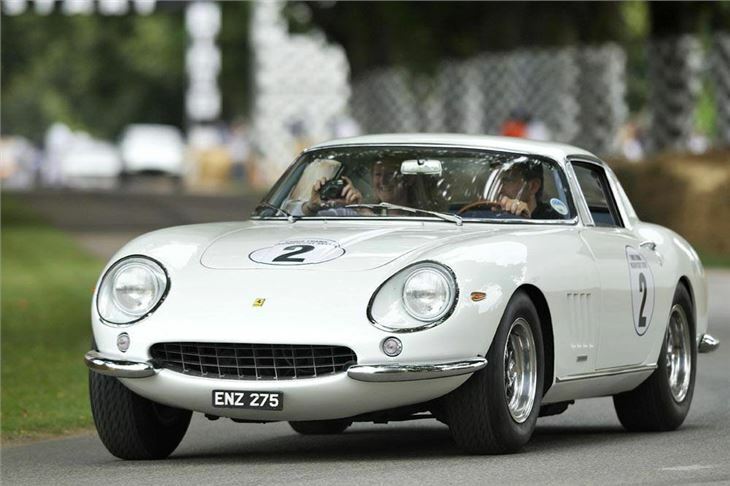 Evans once again concluded his charity drive and dine event with a full throttle assault on the hillclimb at Goodwood, raising £1.1 million for Children in Need. This year’s selection of vehicles featured the best from Maranello’s past and present, including the latest Ferrari limited editions, the SA Aperta and the 599 GTO. 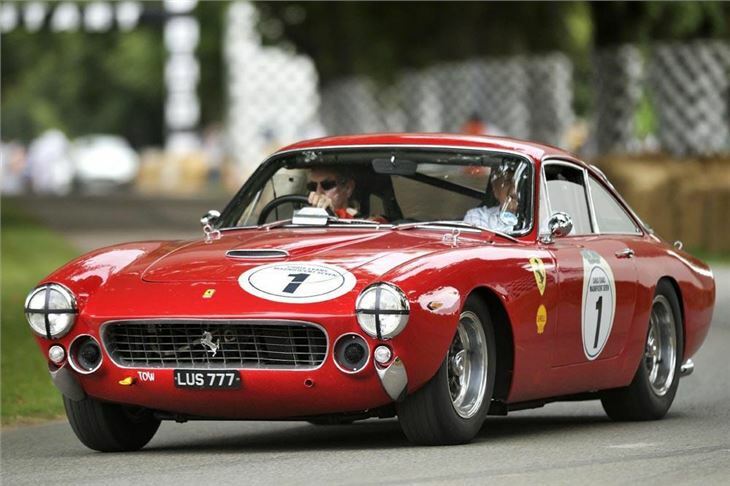 They were joined by the F40, 250 GT Lusso, 275 GTB/4, 288 GTO and 365 GTC. 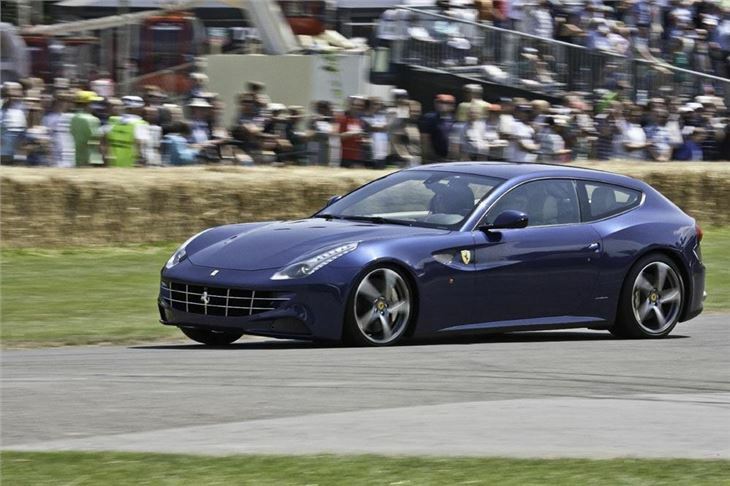 Ferrari’s brand new flagship V12 four-seater, the FF was driven up the hill by James Martin, TV personality and celebrity chef on the final day of the 2011 Goodwood Festival of Speed. Following his trip up the hill, James commented: “Fantastic! A great piece of kit, which handles like all the other Ferraris and it’s surprising that you’ve actually got two proper seats in the back. I’m 6ft 2in and I can sit in the back, no problem. There’s plenty of leg room. Very, very impressed.” A video of James Martin driving the Ferrari FF up the 1.16 mile course is available on www.ferrari.com. Several fine examples of other classic Ferraris from the 1950s, 60s and 70s also took to the hill today, including a unique 375 MM from 1953. The faded and race-worn patina reveals the history of the vehicle and highlights the unique fact that this particular 375 MM has never been restored and retains all of its original parts. A video of owner and driver, Andreas Mohringer explaining the history of his unrestored 1953 375 MM and driving it up the hill, is available on www.ferrari.com. Scuderia Ferrari Marlboro driver, Marc Gené once again took to the track in the 2010 Ferrari F10 single-seater, which was driven by Fernando Alonso during his fight for the F1 title last year. 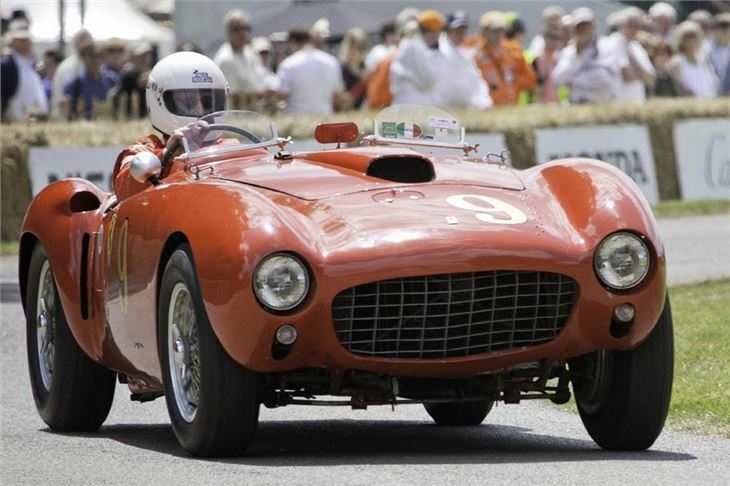 Videos from this year’s Festival of Speed, including James Martin driving the FF, Marc Gene and the Ferrari F10, the 458 Italia hillclimb and the beautiful 375 MM are all available to view on www.ferrari.com. The videos will also be available to download for media use via the Ferrari media website.